What size tire for 6” lift? I just finished my 6” a arm lift from madjax. I put 20” tires on it but they aren’t offset and rubbing on the suspension. I feel like they are too small for the lift. I can either spend more money and get spacers or return these and go with bigger offset tires. What size did you put on your 6” lift? 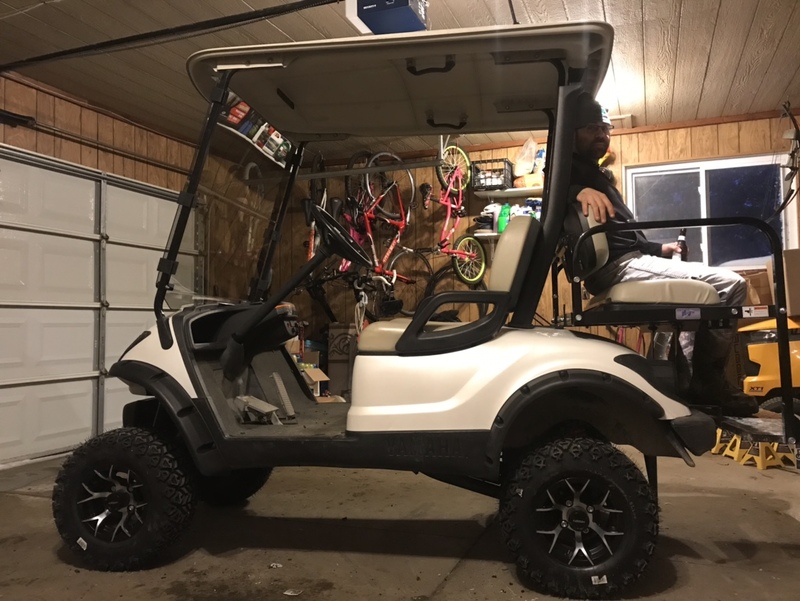 Re: What size tire for 6” lift? What size rims? 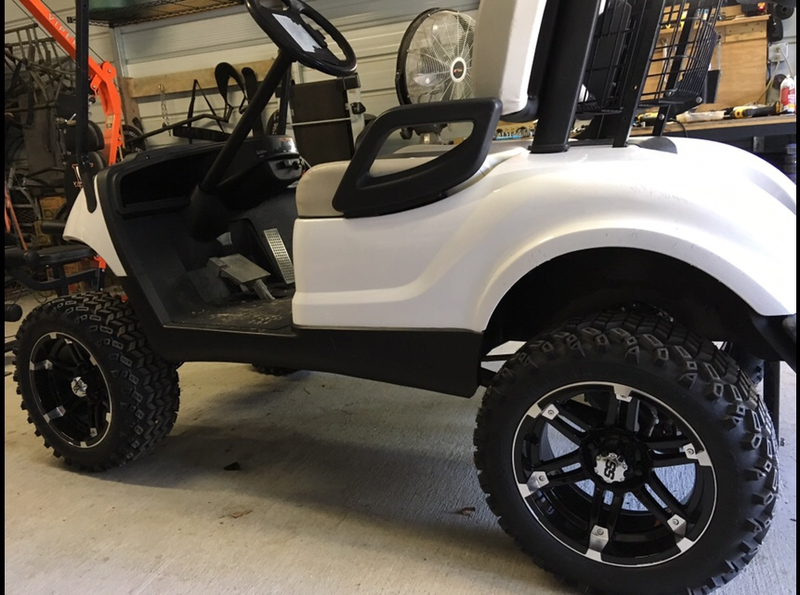 I installed 6” A arm lift and running 23” tires on 14” rims. 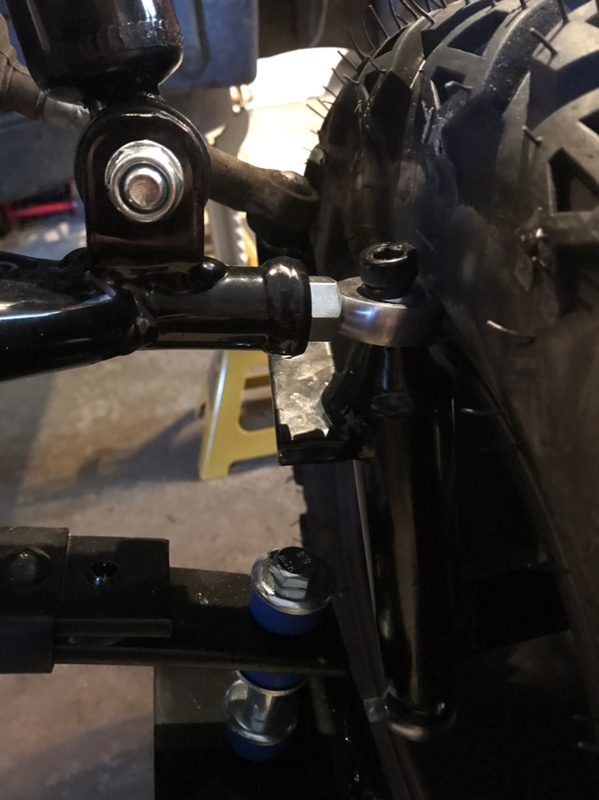 I didn’t have to order a specific offset and no contact with suspension. I did add 2” spacers on all four to help with handling. The pics are before spacers. Thanks. I believe the 10” rims are causing the contact. Need to increase rim size or order spacers. I would order the spacers regardless. The Drives have a very light front end especially with passengers on back and handling/driving will be squirrelly. Your welcome. Good luck getting it sorted out. 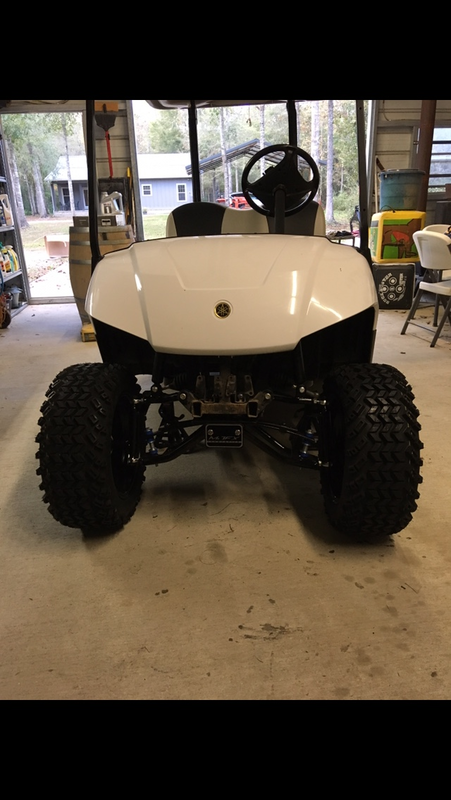 Good looking cart..